Missing or damaged teeth don’t have to be a permanent situation. We can replace and strengthen your teeth with dental crowns and bridges, leaving you with a beautiful and natural-looking smile that’s as good as new. Dental crowns are used to strengthen and restore an existing tooth when too little tooth structure remains to properly retain a filling. They are also helpful in restoring teeth that have had root canal treatment (endodontics). We carefully prepare your dental crown in our on-site lab to be the same size and contour as your original natural tooth. Using a dental crown restores the appearance of your teeth and your face, will keep your jaw and bite aligned, and will make sure that other teeth do not shift locations or take on a greater share of the work of biting and chewing. Bridges are used to replace one or more missing teeth. The bridge spans the gap left by the missing tooth and is usually anchored to the teeth on either side of the gap. Bridges can be made of gold, porcelain-faced gold, or all-porcelain, depending on structural requirements and where they will show up in your smile. In some cases, a dental implant may be a more appropriate option for replacing your missing teeth. Our dentists are highly educated and up-to-date on the latest techniques and materials, and will take the time to listen to your concerns and offer the best solutions for you. Our state-of-the-art on-site lab allows for close collaboration between our technicians and our doctors. It also allows our technicians to meet with and get to know each patient, taking note of how the face and teeth appear and move while speaking, smiling, and laughing, so that restorations are created with each individual patient in mind. We are continually updating the technology, techniques, materials, and processes used in our lab for the fabrication of tooth restorations. Our unique technology draws on expertise from leading laboratories as far away as Stockholm to provide you with precision strength, fit, and esthetics. 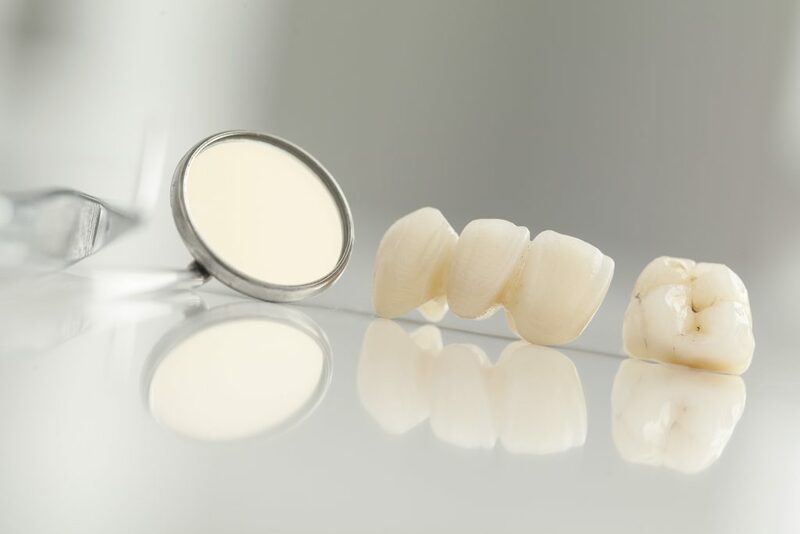 We use ceramics that capture and reflect light and have the same gleam, translucency, and optical properties of enamel to create the most natural looking restorations.